Here you can get unique Seo optimization and ranking in Google for your website at lowest possible prices and SEO optimization directly in your city - Sofia. Websites of our customers are ranked in the search engines and in Google also good as our website. We work with clients from both Sofia and with clients from all over Bulgaria and outside Bulgaria. Eduard Dimitrov is SEO expert of 3D Web Design, one of the top experts in Bulgaria. He has over eight years experience in SEO services. During this time he has over 2500 completed seo campaigns (Bulgarian) and over 3400 (English). Eduard Dimitrov is speaker and one of event organizers of Joomla! Day events in Bulgaria, lector on SEO conference 2015, lector of SEO lections on Joomla Day, lector of SEO courses of Telerik Academy and Software University Softuni, lector of paid SEO courses of It Academy. He is the manager behind over twenty web based seo tools and over 250 Joomla extensions and several WordPress plugins, Oscommerce, Zen Cart and other CMS addons. How to order Seo services online? 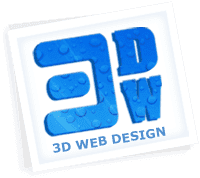 For last three years 3D Web Design have over 3900 orders in social bookmarks completed (about 1500 bulgarian orders and over 2300 in english) and over 900 orders for submits in directories. You can order online from here our Seo services - you can order and pay directly with Paypal. After payment our internet marketing team will contact you if we have some questions about your order. You can see and buy developed from us Seo Tools and Seo extensions for Joomla also or to read information about development of custom seo tools. 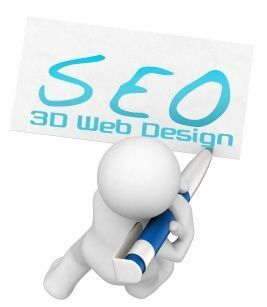 The address of 3D Web Design in Sofia for SEO services is: BG-1000 Sofia, 25, Panayot Volov street, floor 2, office 2. The street Panayot Volov is located in the perfect center of Sofia. Landmarks nearby our number 25 (Panayot Volov number 25) are: approximately 300 meter from here is ISUL Hospital, on about 500 meters is corner of Boulevards Levski and Dondukov. Contact Phone to order seo services is: from Bulgaria: 0898 615736. From outside Bulgaria: (+359)898615736.